James Braid (19 June 1795 - 25 March 1860) was born at Ryelaw House, in the parish of Portmoak, Kinross, Scotland. He was the son of James Braid and Anne Suttie. He married Margaret Mason (or Meason) on 17 November 1813. They had two children, James (born 1822), and a daughter. A Scottish physician and surgeon, specialising in eye and muscular conditions, Braid was an important and influential pioneer of hypnotism and hypnotherapy. Braid adopted the term "hypnotism" as an abbreviation for "neuro-hypnotism" or nervous sleep (that is, sleep of the nerves), in his lectures of 1841-2, and it is from his influential work that others derived the term "hypnosis" in the 1880s. Braid is regarded by many as the first genuine "hypnotherapist" and the "Father of Modern Hypnotism". Braid was apprenticed to Leith surgeons Charles Anderson (i.e., both the father and the son), and attended the University of Edinburgh from 1812-1814, where he was also influenced by Thomas Brown, M.D. (1778-1820), who held the chair of Moral Philosophy at Edinburgh from 1808 to 1820. Perhaps as a result of his association with Charles Anderson, Braid became a "corresponding" member of the learned society, the Wernerian Natural History Society. He obtained the diploma of the Licentiate of the Royal College of Surgeons of the City of Edinburgh, the Lic.R.C.S. (Edin), in 1815, which entitled him to refer to himself as a Member of the College (i.e., rather than a Fellow). Braid was appointed surgeon to Lord Hopetoun's mines at Leadhills, Lanarkshire, in 1816; and in 1825 he set up in private practice at Dumfries. One of his patients, Mr. Petty, invited Braid to move his practice to Manchester, England. Braid moved to Manchester in 1828, continuing to practise from there until his death in 1860. Braid became interested in the phenomenon known as mesmerism in November 1841, when he personally observed demonstrations given by the traveling Swiss mesmerist Charles Lafontaine (1803-1892). In particular, he examined the physical condition of Lafontaine's mesmerized subjects and concluded that they were, indeed, in quite a different physical state. Upon reflection, he became convinced that he had discovered the natural psychophysiological mechanism underlying these quite genuine phenomena, and he immediately delivered a series of five public lectures in Manchester that commenced on 27 November 1841. Within a few days following his observation of Lafontaine, in November 1841, Braid began experimenting with his own method, and soon began giving public lectures. In early 1842 - as a response to a personal attack upon himself and his work that had been made in a sermon delivered by a Manchester cleric, McNeile, and had been published a few days later in an unaltered form, despite Braid's attempts to rectify the misunderstandings he felt it contained - Braid privately published the contents of an (unanswered) letter that he had written to the cleric as a twelve page booklet entitled Satanic Agency and Mesmerism Reviewed (Braid, 1842). Soon after, he also wrote a report entitled "Practical Essay on the Curative Agency of Neuro-Hypnotism", which he applied to have read before the British Association in June 1842. Despite being initially accepted for presentation, the paper was controversially rejected at the last moment; but Braid arranged for a series of Conversaziones at which he presented its contents. "Braid later changed his sleep-based physiological theory to a psychological one which emphasized mental concentration on a single idea, giving this the name of monoideism in 1847". Braid summarized and contrasted his own view with the other views prevailing at that time. "The various theories at present entertained regarding the phenomena of mesmerism may be arranged thus:- First, those who believe them to be owing entirely to a system of collusion and delusion; and a great majority of society may be ranked under this head. Second, those who believe them to be real phenomena, but produced solely by imagination, sympathy, and imitation. Third, the animal magnetists, or those who believe in some magnetic medium set in motion as the exciting cause of the mesmeric phenomena. Fourth, those who have adopted my views, that the phenomena are solely attributable to a peculiar physiological state of the brain and the spinal cord." Although Braid was the first to use the terms hypnotism, hypnotize and hypnotist in English, the cognate terms hypnotique, hypnotisme, hypnotiste had been intentionally used by the French magnetist Baron Etienne Félix d'Henin de Cuvillers (1755-1841) at least as early as 1820. Braid, moreover, was the first person to use "hypnotism" in its modern sense, referring to a "psycho-physiological" theory rather than the "occult" theories of the magnetists. [Further, I have never been] a supporter of the imagination theory - i.e., that the induction of [hypnosis] in the first instance is merely the result of imagination. My belief is quite the contrary. I attribute it to the induction of a habit of intense abstraction, or concentration of attention, and maintain that it is most readily induced by causing the patient to fix his thoughts and sight on an object, and suppress his respiration. In 1843 he published Neurypnology; or the Rationale of Nervous Sleep Considered in Relation with Animal Magnetism..., his first and only book-length exposition of his views. According to Bramwell (1896, p. 91) the work was popular from the outset, selling 800 copies within a few months of its publication. He completely rejected Franz Mesmer's idea that a magnetic fluid caused hypnotic phenomena, because anyone could produce them in "himself by attending strictly to the simple rules" that he had laid down. Braidism is a synonym for hypnotism, though it is used infrequently. Braid's work had a strong influence on a number of important French medical figures, especially Étienne Eugène Azam (1822-1899) of Bordeaux (Braid's principal French "disciple"), the anatomist Pierre Paul Broca (1824-1880), the physiologist Joseph Pierre Durand de Gros (1826-1901), and the eminent hypnotherapist and co-founder of the Nancy School Ambroise-Auguste Liébeault (1823-1904). Braid hypnotised the English Swedenborgian writer Dr. J.J.G. Wilkinson, who observed him hypnotising others several times, and began using hypnotism himself. Wilkinson soon became a passionate advocate of Braid's work and his published remarks on hypnotism were quoted enthusiastically by Braid several times in his later writings. However, Braid's legacy was maintained in Great Britain largely by Dr. John Milne Bramwell who collected all of his available works, and published a biography and account of Braid's theory and practice, as well as several books of his own on hypnotism. In 1997 Braid's part in developing hypnosis for therapeutic purposes was recognized and commemorated by the creation of the James Braid Society, a discussion group for those "involved or concerned in the ethical uses of hypnosis." The society meets once a month in central London, usually for a presentation on some aspect of hypnotherapy. Apart from Neurypnology, his first book, all of Braid's works have been out of print since his death; however, many are now available on-line. The 2009 publication of Robertson (Discovery of Hypnosis) contains all of Braid's major works and many letters and articles by him, including "On Hypnotism". Consequently, due to his Edinburgh studies, especially with by John Hughes Bennett (1812-1875), author of The Mesmeric Mania of 1851, With a Physiological Explanation of the Phenomena Produced (1851), he was very familiar with Braid and his work; and, more significantly, through Charles Braid, he had access to publications, records, papers, etc. of Braid that were still held by the Braid family. He was, perhaps, second only to Preyer in his wide-ranging familiarity with Braid and his works. In 1896 Bramwell noted that, "[Braid's name] is familiar to all students of hypnotism and is rarely mentioned by them without due credit being given to the important part he played in rescuing that science from ignorance and superstition". He found that almost all of those students believed that Braid "held many erroneous views" and that "the researches of more recent investigators [had] disproved [those erroneous views]". The difference between Braid and the Nancy School, with regard to suggestion, is entirely one of theory, not of practice. Braid employed verbal suggestion in hypnosis just as intelligently as any member of the Nancy school. This fact is denied by Bernheim, who says: "It is strange that Braid did not think of applying suggestion in its most natural form - suggestion by speech - to bring about hypnosis and its therapeutic effects. He did not dream of explaining the curative effects of hypnotism by means of the psychical influence of suggestion, but made use of suggestion without knowing it." [Unlike Bernheim, Braid] did not consider [verbal] suggestion as explanatory of hypnotic phenomena, but_ [he] looked upon it simply as an artifice used in order to excite [those phenomena]. "I answered [Bernheim], giving quotations from Braid's published works, which clearly showed that he not only employed suggestion as intelligently as the members of the Nancy school now do, but also that his conception of its nature was clearer than theirs" (Hypnotism, etc. (1913), p.28). Look up James_Braid (surgeon) in Wiktionary, the free dictionary. 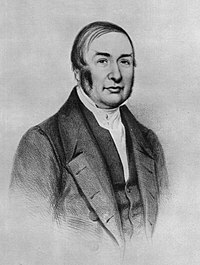 Please browse our fully updated library of professionally produced Hypnosis Downloads and Hypnosis Scripts for advanced self hypnosis audio mp3s and indirect hypnotherapy scripts relating to: james braid, james braid hypnosis, james braid hypnotism, james braid self hypnosis, about james braid, the life of james braid, who was james braid. Please browse our Hypnosis Online Store for books, cds, downloads, dvds, ebooks, mp3s, scripts, and videos relating to: james braid, james braid hypnosis, james braid hypnotism, james braid self hypnosis, about james braid, the life of james braid, who was james braid. Please visit Hypnotic-world.co.uk for advanced self hypnosis audio mp3s, hypnosis courses, and hypnosis pdf relating to: james braid, james braid hypnosis, james braid hypnotism, james braid self hypnosis, about james braid, the life of james braid, who was james braid. Please visit Hypnotic-world.com for more information relating to: james braid, james braid hypnosis, james braid hypnotism, james braid self hypnosis, about james braid, the life of james braid, who was james braid.